While ‘superfoods’ is a recent and likely overused term, once past middle age, you have to take extra care of your body. If it was a 60 year old car it would have regular services, be kept under cover and treated with care at all times. Why should you be any different? Put these foods in your engine to ensure that you keep running at the highest level of performance. Oatmeal’s top benefit comes from its high soluble-fibre content, which helps lower cholesterol. A compound in oatmeal helps scrub the arteries and may protect against colon cancer. Oatmeal also satisfies hunger, so is the ideal choice if you are looking to lose a bit of weight. Oatmeal is low-fat, high in protein and loaded with iron and other minerals. One cup of cooked oatmeal is only 166 calories. But before you reach for the microwaveable porridge: adding sugar or eating instant oatmeal with sugar bumps up the calorie count. Broccoli has fallen out of favour thanks to the world’s seemingly overnight obsession with its cousin, kale – but you’d be foolish not to eat it. It’s high in fibre, antioxidants and vitamins such as A, C, B9 (folate) and K. That means your eyes, red blood cells, immune system, bones and tissues all benefit from this super vegetable. 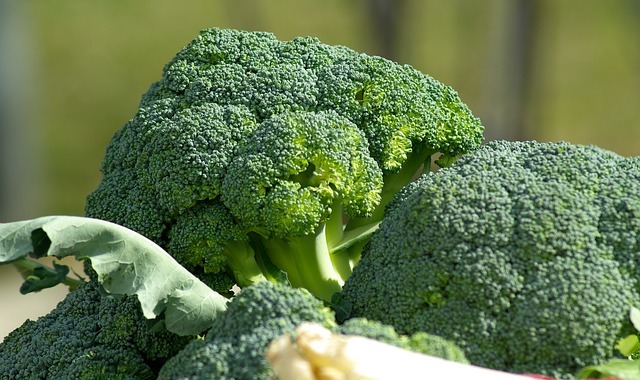 Broccoli may also aid in the fight against certain cancers, including liver, breast, prostate and colon cancers. The versatile butternut squash brims with beta-carotene, which is important for eye health, something that often deteriorates in later life. The heart also benefits from the vitamin C found in this tasty squash and its high fibre content helps to lower cholesterol and maintain good blood sugar levels. Fat free, sodium free, cholesterol free, it also boasts a healthy amount of potassium, which helps control blood pressure. Cut it in half, scoop out the seeds, season and drizzle with oil before roasting. Saving the best for last! Dark chocolate’s antioxidants, including polyphenols like flavonoids, may help prevent heart attacks by protecting arteries from becoming clogged. Some studies indicate that consuming small amounts of dark chocolate (at least 70 percent cacao) on a regular basis can lower blood pressure and decrease the rate of stroke in women by 20 percent. Dark chocolate may also protect brain health and boost memory. Lindt’s Excellence range is available in most major supermarkets and includes 70% – 99% cacao. While the above are Ask Granny’s favourites, Alison Hornby, a spokesperson for the British Dietetic Association says: “All unprocessed food from the major food groups could be considered ‘super’ and are useful as part of a balanced diet.” Make sure to incorporate plenty of fruit and vegetables in to your diet. While raw or steamed versions with a bit of bite left in them often contain the highest nutritional values, home made soups and smoothies are great for packing in extra fibre and vitamins.